Every author needs a little help moving their story from a written manuscript to a published book. For the help that Draft2Digital doesn’t provide, these are the professional freelancers and services we would use. We endorse each one and hope that you find exactly the partnership you need to finish your book. Findaway Voices gives authors and publishers everything they need to create professionally-narrated audiobooks and reach listeners in more than 170 countries through the world's leading audiobook distribution network. Unique in the market, Voices is an exclusivity free service where authors and publishers keep complete control over content, pricing, and distribution. Through Voices, authors and publishers connect with professional narrators, are guided through production, and provided with a final audiobook that is quality-checked and published for sale. As an added bonus for Draft2Digital authors, Findaway Voices will waive its standard $49.00 services fee on all audiobooks created! Findaway Voices is part of Findaway, a global leader in digital content delivery and the creator of AudioEngine, the industry's largest B2B audiobook delivery platform. Self-Publishing Services, LLC began with a simple idea— give writers all the tools they need to succeed in creating their best book. 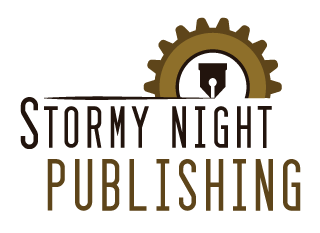 SPS is owned, built, and run by experienced writers and editors. We have over fifty years of experience developing and crafting the written word, so we know the ins, the outs, the truths, and the tricks of getting a book to market. We provide competitively priced, royalty-free, à la carte services for authors. We are happy to guide you through the process or let you decide which services you need on your own. Either way, you’ll pay only our fees; we won’t touch your royalties. We are passionate about our work, the writers we work with, and the books we help develop. As writers ourselves, we understand a book isn’t merely a product, but rather, a form of personal expression that has the ability to change your future. We are here to see that your dreams of publishing success come true. Jessie is a freelance editor and has professionally edited novels since 2010. She is able to work as either copy editor or conceptual editor. Her list of capabilities and ways she prefers to work with authors can be found here. For a list of references, visit here. If you would like to contact Jessie for more information or to discuss terms, please contact her at this email address. Laurie is a freelance editor specializing in fiction. She has expertise and experience in both copy and story editing. For more information and specifics, visit here. To see a partial list of books she has edited, visit this page. If you would like to contact Laurie for more information or to discuss terms, please contact her at this email address. Brett is a professional graphic designer and commercial artist with over a decade of experience in the world of advertising and marketing. He offers cover design for both ebook and print as well as book layout services. You can find his portfolio and contact information at www.brettgrimes.com. Ebook Launch's business is to create beautiful book cover designs specifically for independent authors. They design covers for any genre at an affordable price point with a fast turnaround time. You can view their prices and portfolio here: www.ebooklaunch.com/ebook-cover-design. SelfPubBookCovers.com is the only site where authors can INSTANTLY customize a professionally designed, one-of-a-kind cover and see exactly what it will look like before buying. 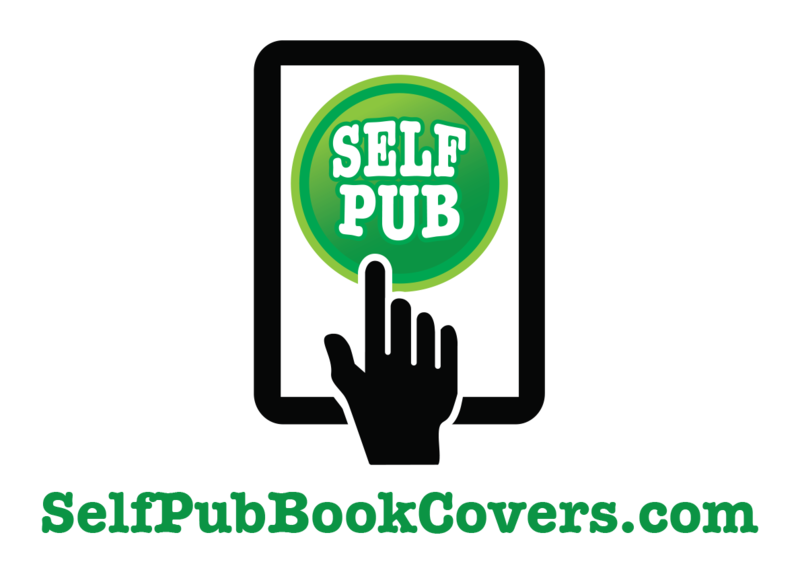 Search the LARGEST SELECTION of book covers in the world, in all genres and styles. Once a cover is sold it is never sold again. Most covers cost just $69! Find your cover at SelfPubBookCovers.com. Blending the experience of advertising professionals with the perspective of self-published authors, Monkey Paw focuses on platform creation and career growth. Their campaigns work to bring consistent attention and traffic to your work. Their services include ad campaigns, book marketing and design, author branding, web design, and cover design. Find out more at www.monkeypawcreative.com. Prolific Works was created with a mission to accelerate great stories and big ideas. As the book world’s leading platform for exclusive access to sneak peeks, advance previews, and special giveaways, we live our mission every day and give readers a chance to see it first. For our author partners, seeing it first means having an instant connection to engaged fans in our rapidly growing reader community. Prolific Works builds the trusted and lasting connection to the right readers–the ones authors knew were there all along. For our reader community, see it first means having the freedom to explore and discover authors they’ll love–the ones readers were hoping for all along. Exclusive access to great stories and big ideas before anyone else lets readers See It First before they buy, before they review, and before they share with friends and family. 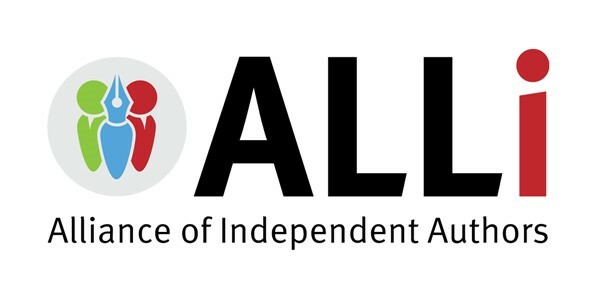 The Alliance of Independent Authors (ALLi) is a global, non-profit association for self-publishing writers and good author services (yes, Draft2Digital and Books2Read are Partner Members!). Founded by indie author Orna Ross, ALLi (pronounced “ally”) also organizes the Indie Author Fringe online author conferences, and a wealth of other self-publishing advice and information. You can join ALLi here. Bibliocrunch connects authors with the curated and trusted book publishing professionals they need to publish a high-quality book. Members of their exclusive community of industry professionals have worked for some of the largest publishing houses in the world, including Simon & Schuster, Penguin Random House, and HarperCollins. Bibliocrunch has been featured in Consumer Reports, Forbes, Money Magazine, Bloomberg, BBC World News, Publishers Weekly, MediaBistro, The Wall Street Journal, Library Journal, and The Columbia Review, among other press outlets. For more about this service and how it works, visit Bibliocrunch on the web. Want to work with George R.R. Martin's editor? Or Stephen King's designer? Reedsy has sourced the very best editorial, design and PR talent in the publishing industry and made it available for authors. Every professional on our marketplace has worked in, with or for a traditional publishing house and specializes on specific genres. This allows us to offer something you won't get anywhere else: a 100% satisfaction guarantee. Our simple interface allows you to compare quotes and samples to find the best possible partners for your manuscript, and our collaborative tools then help you save time working with them. Below you’ll find some of the most powerful digital bookstores available in the world of self-publishing. Draft2Digital cultivates a strong relationship with each one and endorses them as avenues to bring your book to market. For more information about any individual partner, please see below. Draft2Digital is proud to have Amazon in our ever-growing catalog of distributors. With Amazon’s Kindle platform, authors can distribute eBooks to dozens of international markets, including the US, Canada, the UK, Australia, and more. Apple Books is an amazing way to download and read books. With over 2 million books in our catalog, Apple Books is available in 51 countries around the world. On Apple Books you’ll find everything from the latest bestsellers to up-and-coming indies to your favorite classics. Browse your library on a beautiful bookshelf, tap a book to open it, flip through pages with a swipe or a tap, and bookmark or add notes to your favorite passages. Find fully illustrated books, including children's picture books, art and photography books, cookbooks, gorgeous Multi-Touch books filled with interactive features, and more. Apple Books is available on iPhone, iPad, iPod touch, and Mac. NOOK Media LLC is a subsidiary of Barnes & Noble, Inc., the nation’s largest retail bookseller and a leading retailer of content, digital media, and educational products. NOOK Media™ is a leader in the emerging digital reading and digital education markets. NOOK is a digital content services provider offering an expansive collection of digital reading and entertainment content through its NOOK Store® (www.nook.com), its highly acclaimed NOOK devices including the new Samsung Galaxy Tab® 4 NOOK tablet, and its award-winning NOOK GlowLight™ eReader. NOOK also offers customers the ability to be able to enjoy content across a wide-range of popular devices through free NOOK Reading Apps™ and NOOK Video Apps™. Founded in December 2009, Toronto-based Kobo has quickly become a global leader in eReading, offering a world-class platform for the most passionate Readers. Our mission is to lead the global transformation in reading by inspiring people to read more and more often – anytime, anyplace, anywhere around the world. Kobo delivers the best digital reading experience to millions of users in 190 countries, offering one of the world's largest catalogues with more than 4.7 million titles, world-class eReading devices, and top-ranking apps. Kobo is owned by Tokyo-based eCommerce company Rakuten. Discover more about us on the web. Playster is the world's first all-inclusive online entertainment portal, bringing together music, movies, books, audiobooks and games in one convenient, easy-to-use subscription. Scribd is the premier subscription reading service with more than a million e-books, audiobooks and comics including New York Times bestsellers, Pulitzer Prize winners and reader favorites across every genre. Since launching in 2013, their readers have clocked more than 17 million hours of reading time across all genres. In addition to making the best membership reading service around, Scribd has also built the world's most popular open platform for publishing and sharing documents of all kinds. To date, people all over the world have shared more than 60 million documents via Scribd. To learn more, visit www.scribd.com. A German Consortium, Tolino is a shared ebook platform consisting of five German retailers and tech companies (Thalia, Weltbild, Hugendubel, Club Bertelsmann, and Deutsche Telekom). With retailers spread across 4 countries in central Europe and nearly 1,500 retail stores in Germany and 300 stores in other countries, Tolino gives authors tremendous access to the European market. 24symbols is an ebook subscription service costing only $8.99 per month. Try our free introductory 30 days with no commitment or cost to you! You will discover thousands of books in more than 10 languages. 24symbols is also a social reading platform where you can create a personal digital library to connect with other readers by sharing and comparing your bookshelves. Find the titles you are looking for with just a single click and try out the best reading experience through our iOS and Android apps. Visit www.24symbols.com and follow us on Twitter @24symbols. OverDrive is the leading digital distribution platform, supplying the industry’s largest catalog of eBooks, audiobooks, streaming video and periodicals to 38,000 libraries, schools and retailers worldwide. OverDrive supports all major computers and devices, including iOS®, Android™, Chromebook™ and Kindle® (U.S. only). OverDrive delivers all digital media on a single platform, and offers innovations such as OverDrive Read, the breakthrough EPUB and HTML5 browser-based reading experience, and Read-Along eBooks. Founded in 1986, OverDrive is based in Cleveland, Ohio USA and is owned by Tokyo-based Rakuten. For more information, visit www.overdrive.com. Bibliotheca is dedicated to the development of solutions that help sustain and grow libraries around the world. Our products are designed to provide a welcoming, intuitive and seamless environment for those that use the library – wherever they chose to use it - be that at home, on the move or within the foundation of the library itself. We have direct operational offices in all major continents, together with dedicated distributors who offer our solutions across a further 70 countries. We are proud to have over 30,000 unique libraries as part of our family, with a deployed equipment range in excess of 10,000 individual self-service units, 6,000 security systems and over 650 automated materials handling (sorter) systems. In addition, our digital platform features content from over 1,000 publishers and is available through almost 3,000 libraries. Baker & Taylor is a leading distributor of books, video and music products to libraries, institutions and retailers. We are passionate about book and entertainment products. Many of us have been here for a long time - 20, 30, 40 years. We form deep and lasting bonds with our supplier partners and customers; and we always strive to delight the readers, viewers and listeners. We have been in business for over 180 years and have developed long-term relationships with major book and music labels. We have more than 36,000 customers in more than 120 countries. For more information, visit www.btol.com. Google Play Books is an eBook digital distribution service operated by Google. 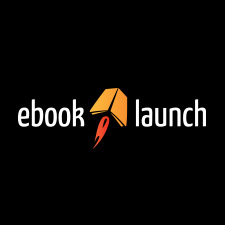 They offer eBooks distribution to more than seventy countries, with over five million eBooks available worldwide.